If you've gone to other Nuat Thai branches in Manila, you know they have a trademark massage. 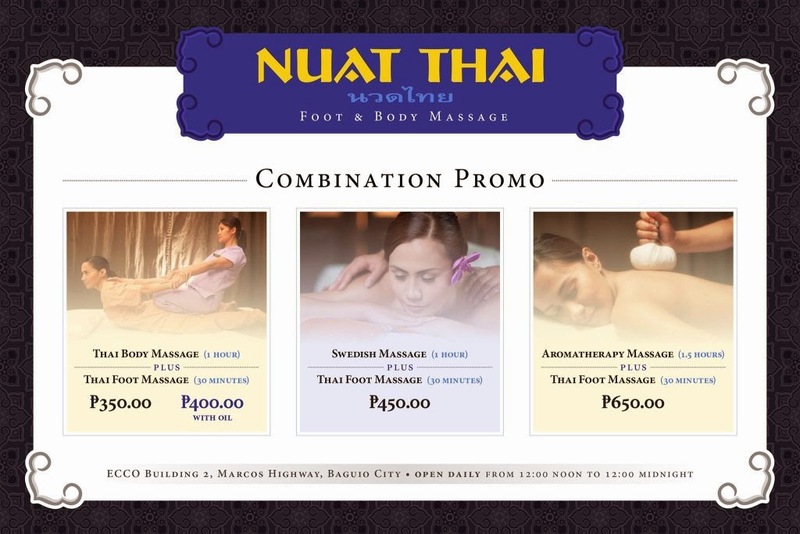 This means if you choose Thai massage, you get the same kind and same series of moves at every Nuat Thai branch or franchise. I found the same consistent quality at Nuat Thai Baguio. This branch is new so they have clean rooms/cubicles and restroom. Warning from their facebook page! 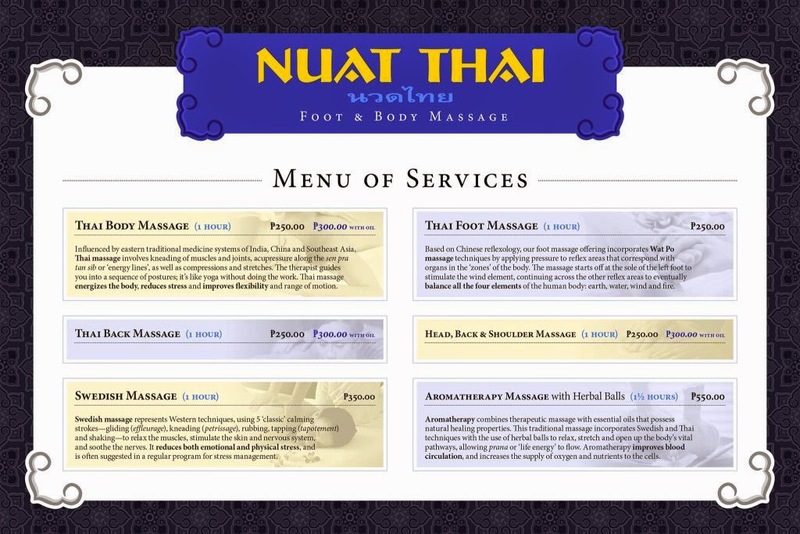 We almost stopped at this spa thinking it's Nuat Thai. 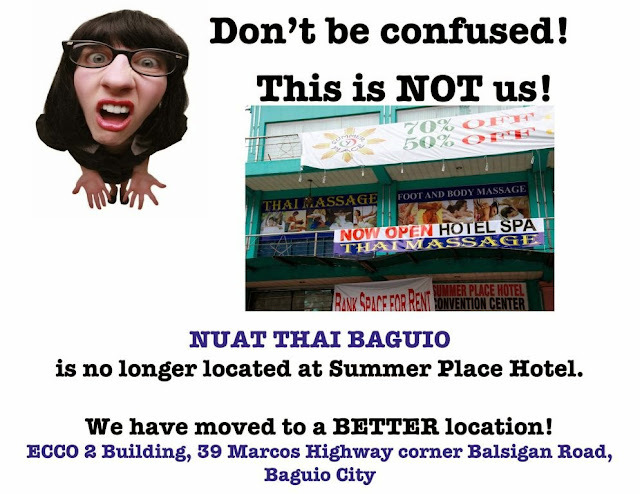 Apparently, a lot of people were confused too. Therefore, the warning posted in their facebook page. Thank you for your review and especially for pointing out the one that "copied" us!